Larry Harvey and Jerry James burned the first Man on San Francisco's Baker Beach on the Summer Solstice, June 21, 1986. 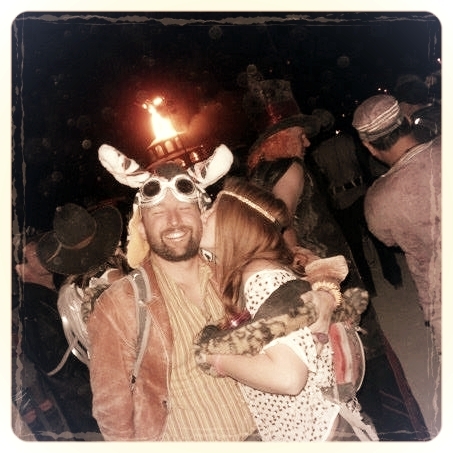 On June 21, 2018 we invite you to join a global celebration of Burning Man and day of gratitude for our original founder. Host a storytelling gathering, build some art, gift something, volunteer, organize a park cleanup, radically express yourself through clothing, or simply take a moment to consider the impact of the Ten Principles on your life. We are excited to see the things you create! Please share what you're up to in this Facebook event and use the hashtag #thankslarry on all your related posts. We also encourage you to use the Facebook LIVE video streaming option to show the world how you are honoring Larry and celebrating Burning Man. Our team will be monitoring and sharing/reposting content throughout the day. SF Precompression 2018: Bayview SPARC Edition!